Last week we held two days in school where the children moved into the new class and spent the morning with their new teacher. There are no changes to the teaching staff structure next year, and so for many of the children it is not a new teacher, merely a new year group with new challenges and new opportunities. Some children may have a few anxieties about next year, and we work to allay these. For the younger children – those moving from Class 1 into Class 2 – Mr Kirby will be a familiar figure. Class 1 and Class 2 work together regularly over the year as this supports the Reception children in becoming used to the formal learning before Year 1. 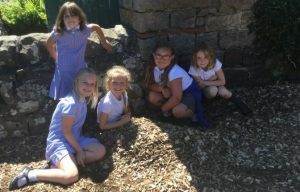 It also offers Year 1 the chance to experience the more familiar continuous provision and so support the development of interests and self confidence. We are looking to build on this successful work next year – exploring more continuous provision in Class 2. For Class 3 and Class 4 they maintain their now familiar routine. Class 4 will keep Ms Stacey in the morning, with Mrs Buchanan as a Teaching Assistant, and Class 3 will keep Mr Tyrrell with support from Mrs McNeil. Key Stage 2 will continue to be supported by Sports Teacher Mr Burns next year as well and we also hope to build on a successful sports partnership with Carlisle United. Ben Draper will continue to provide choir and music support. In the meantime we also have a few dates for your diary – the children return back to school on Tuesday September 4th and we have a ‘Meet the Teacher’ time on Wednesday 5th September at 4pm. As usual, if you have any questions do get in touch!